The well-known English furniture expert, Simon Redburn, brought this superb needlework covered chair to Franses. The original panels were soiled and corroded with numerous holes. The panels were carefully removed from the chair, the dyes tested, the covers secured and stabilized prior to hand cleaning in our studios at Franses Conservation. The panels were originally embroidered on a canvas foundation. Colours to replace the missing areas were matched and re-embroidered as in the eighteenth century. 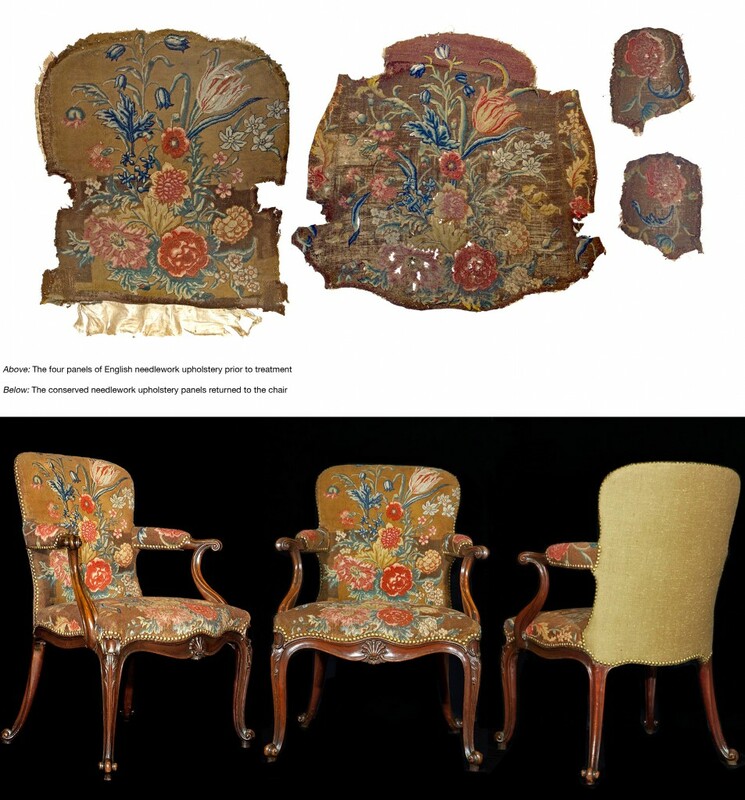 The two arm pads, the seat and back panel were then re-upholstered on the chair, which was conserved and waxed by furniture specialists Arlington Conservation.